Ashland County Supervisor Charles Ortman signs up to speak. 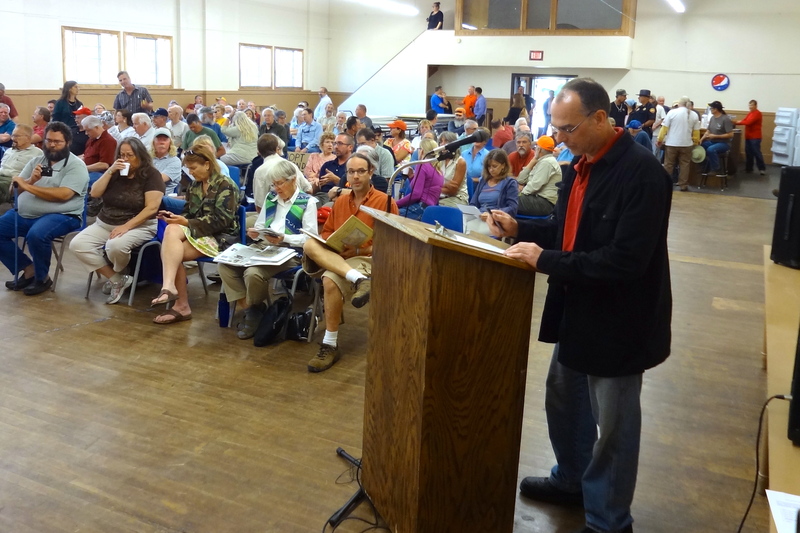 On July 1, 2013, over a hundred people attended the Iron County Zoning Committee’s public hearing on a proposed mining ordinance in Hurley, Wisconsin. Twenty-three of the twenty-eight people who testified urged the Committee to develop an ordinance containing the strongest possible protections for public health, safety and shared natural resources. 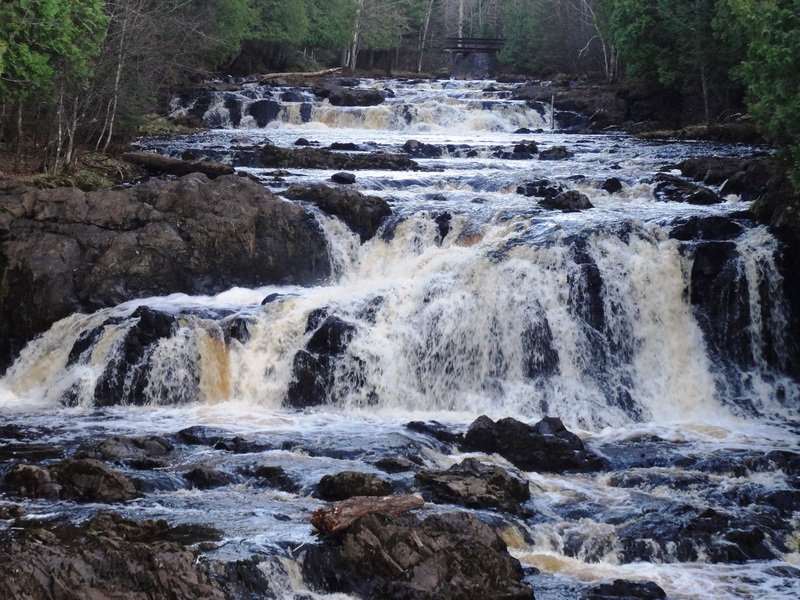 Wisconsin’s new mining law prohibits the state’s Department of Natural Resources from issuing stop orders if mining operations threaten public health, safety or the environment. The law also states that “adverse impacts to wetlands are presumed to be necessary in bulk sampling and mining activities.” Opponents of the law argued that statement gives mining companies a blank check to pollute. With the recent gutting of environmental regulations relating to mining in state law, it is now up to municipal and county governments to protect the health, safety and air and water quality of their communities. Last month Ashland County enacted a local ordinance regulating any potential mining activities. Administrators and elected officials in neighboring Iron County then realized that they needed one too. That’s because in the absence of a zoning regulation specifically permitting it, mining would be considered an illegal activity. Iron County currently has no provisions for metallic mining in their zoning code. The Tyler Forks, one of the “puddles” that could be legally filled in by mining waste. In November, 2010, the Iron County Board passed a resolution approving the withdrawal of county-owned land from County Forest Law. Two months later they signed a 3,331 acre lease with the newly-incorporated mining company Gogebic Taconite for use as a mining waste disposal site. Iron County citizens only recently became aware of the lease and were alarmed by the lack of recourse locals have under it’s terms should the site end up permanently damaging the water supply. In April of this year, the Iron County Board invited GTac officials to a meeting to answer questions about the lease and their proposed operations on county land. Dozens of questions were put to them which they couldn’t answer, claiming they needed to complete hydrological and core sample studies first. The mining company has nearly completed their core sampling activities in the Penokee Hills and hope to begin bulk sampling later this month. The DNR responded to the bulk sampling application with a ten point, three page letter requesting more detailed scientific information about the potential environmental impacts of the activities that amount to strip mining five locations in the hills. Citizens concerned about a potential mine in the Penokees held a press conference before the hearing, and showed up in big numbers to testify. The Iron County Zoning Committee tabled a vote on the ordinance. They plan to take it up again after more consultation with an attorney.